When people ask me what my favorite part of my Indonesia trip is, there's no hesitation. 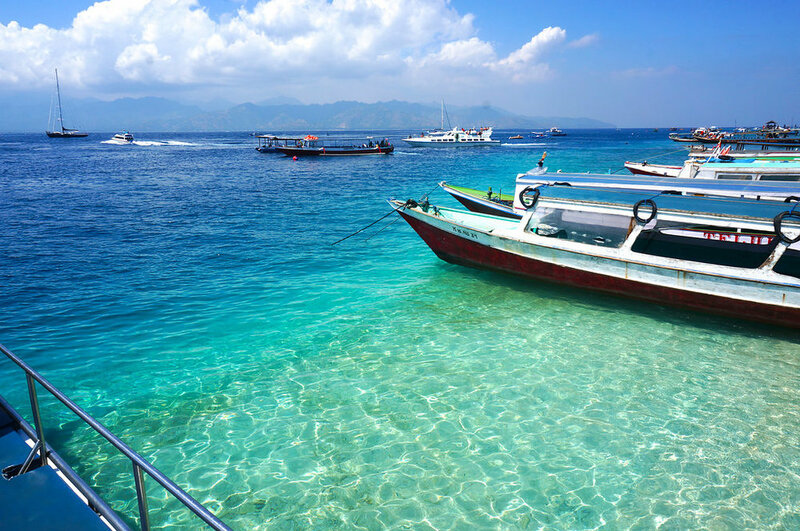 The Gili Islands. The island wakes up at 5am with Muslim prayers singing through the speakers of the town. You realize immediately you're far away from home, which is a feeling that I adore. I fell in love with the islands so much I named my dog Gili. This was the beginning leg of my trip to Bali. I did 3 nights here and then 8 nights in Bali. If I could do it over again I would have stayed here at least a week! The people are absolutely amazing. Everybody here is so friendly and curious about you and your life. No motor vehicles are allowed and people get around by donkey or bicycle. The culture is out of this world. I dare you to come here and not find yourself the most relaxed you've ever been.